🌟 I have taken the decision to read and not read this book multiple times. I am a big fan of Dark Fantasy but most of my friends said that it was mediocre/ Meh. I finally decided to give it a chance since book 2 is out now. 🌟 The book started very good. It also had a prophecy which is my favorite trope and seeing how things fall in place to make a prophecy come true is always a something that puts me in awe. Mix that with good writing and it is a recipe for a great book. But there were some things that dampened this excitement. 🌟 Xifeng apparently starts as a poor weak girl and to see her transformation was great. But sometimes she didn’t know what she wanted to achieve and she had like multiple personalities, I think the author intended it to be that way. I also loved the Empress, I like a good character who knows what’s happening around her and who isn’t oblivious. But I can’t say that I was a fan of the rest of the characters! 🌟 I was warned that this had slow pacing and that was part of why I kept procrastinating it till the right time and I was finally in the mood to read something slow but it was even slower than expected, the middle part was a bit boring and I am not surprised that many readers DNFed at that point. 🌟 This is a retelling of the Evil Queen with Asian setting which means there is not much plot twists and it is a character driven story. The world building was average and I felt that I needed to know more about the fantasy settings and rules. 🌟 Summary: A slow-paced, dark fantasy book with a morally grey characters. It had defects almost in all aspects but still was addicting enough to finish it and consider reading book 2. I recommend this to fans of Asian settings and Dark fantasy! I ended up giving it 3.5 out of 5 stars! Lovely review! I really enjoyed this one, but would’ve liked to see more worldbuilding as well. Great review! Hmm, I’m slightly hesitant to read this one. 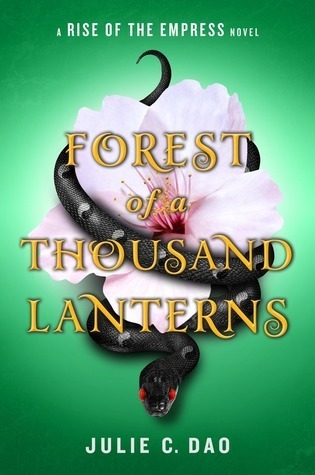 While I do adore dark fantasies and Asian settings, slow pacing and not many intriguing characters can be challenging for me to read through. Thanks! I think you can safely skip this one. you won’t lose anything! I’m a little sad too, Xifeng’s such an interesting protagonist! Great review. I still have this on my TBR, good to know it’s on the slower side.